The RYA/World Sailing (formally ISAF) Offshore Safety course combines sea survival training with heavy weather procedures, and is suited to both cruisers and racers. This course aims to give you the skills and knowledge to enable you to prevent and deal with offshore emergencies. 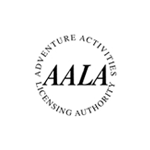 The 2 day course takes place usually over a weekend at our Sea School in Levington Marina. This course includes theory and practical elements. The practical session is held in a local swimming pool, where you will find out just how tricky it can be to get into a liferaft! This training satisfies the conditions for many offshore yacht races, under the World Saling Offshore Special Regulations 6.01. (Category 0, 1 and 2 offshore races). 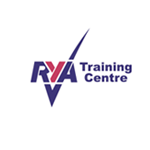 We also recommend that this course is combined with the RYA First Aid course at an additional cost, as it is usual in the Notice to Race rules that First Aid Certificates must be held by some members of the crew. 2 Day Ocean Safety course - If you have not completed an ISAF course before. 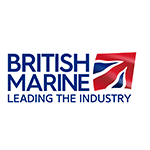 1 Day Ocean Safety Update course - If your current ISAF certificate is out of date (over five years old) this one day refresher course qualifies you for another 5 years. The course covers both the sea survival and heavy weather aspects of the two day course and is also part theory part practical. RYA World Sailing Offshore Safety Certificate.